Some cars reach the end of their production cycle, and we miss them when they're gone. But then some we won't. 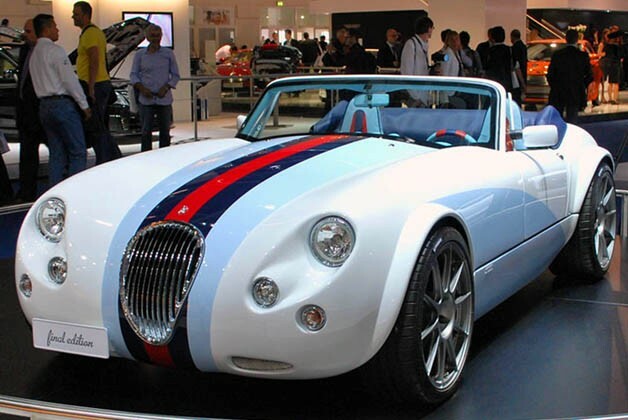 The Wiesmann MF3 Roadster falls into the latter category. You see, it's not that we don't like the Wiesmann. In fact we think it's one of the coolest cars out there, if you're into the retro thing. But the MF3 variant specifically – one of several engine options available on the roadster – is being phased out in favor of more potent powertrains. But not before the niche German automaker gives it a fond farewell. For the special task, the company brought in fashion house Sieger to prepare 18 unique special models that are collectively called the Final Edition. We caught up with a rather striking and deliciously striped example here on the floor of the Frankfurt Motor Show, and are glad to present you with the results.